No. 2 pencils in fashionable colors feature a premium cedar wood construction with a graphite core for extra-smooth laydown. Top-quality, latex-free eraser provides a quick, easy way to correct your mistakes. Pre-sharpened tips are ready to use directly out of the package. 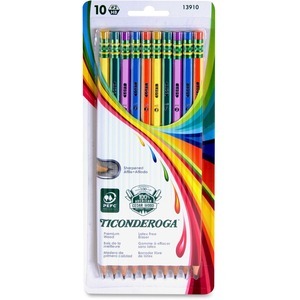 Nontoxic pencils are perfect for use at home, office and school.